An unusual story doing rounds widely online mentions about a Japanese Vending Machine Serving Insects as Snacks on the Go. It claims the Vending machine in Kumamoto offers delicious insect snacks like salted crickets, chocolate beetles and is a hit in Japan. Yes, the Vending Machine Serving Insects as Snacks is a fact. 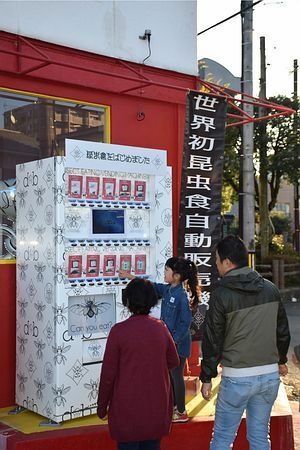 34-year-old Toshiyuki Tomoda set up the unusual vending machine in Chuo ward of the Southern Japanese prefecture Kumamoto in November 2018. 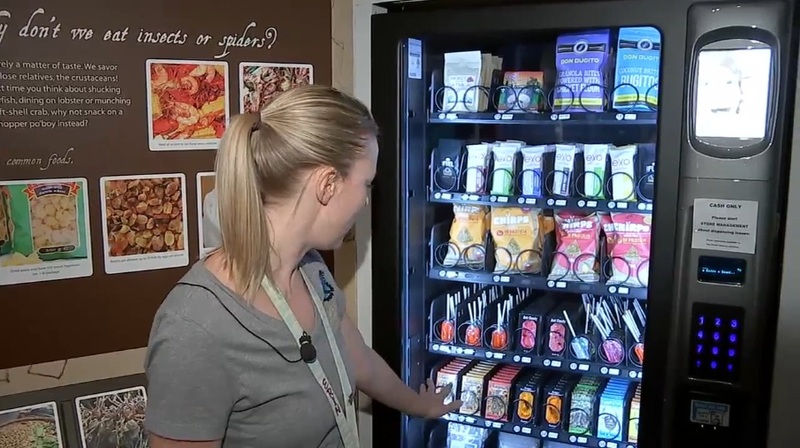 Reportedly, the vending machine serving insects offers about 10 different snacks, including chocolate-covered grasshoppers and cricket protein bars. While the cheapest snack, a protein bar containing powdered crickets sells at 700 yen (S$8.75), the most popular item is salted crickets at 1,300 yen per pack. It is in fact common for some people around the world to eat bugs and insects as part of their diet. The innovative idea of vending machines for offering insect snacks has drawn excitement of lot of kids. Around 500 items were bought from the machine during the first month of its operation, and the owner is enjoying unexpected brisk sales. Tomoda says the idea of unusual vending machine for insect snacks came up as a result of conversations around food shortage and environmental issues. For your information, this is not the first time insect food is served through vending machines. A vending machine at the Houston Museum of Natural Science also serves insect food to hungry guests. The vending machine serving Insects is located in the Brown Hall of Entomology, selling everything from chips made of ground cricket flower to chocolate-covered bugs. Scorpions, ants, mealworms and beetles are also on the offer. Visitors to the museum can learn how different cultures incorporate insects into their diets, and also that insects are rich in protein. Shown below is a video describing the unusual vending machine at Houston Museum of Natural Science.